A large scale road pricing system was to be deployed by Kapsch Trafficom. It consists of a gantry structure extending across the highway, fitted with a compartment for the electronic components (see image to the right). Due to safety of operation, the compartment is closed hermetically and can be cooled only via surface convection. We were comissioned to assess and to optimize the cooling mechanism of the electronic components. A CFD simulation was carried out to estimate the cooling effects due to natural ventilation. The associated equations of buoyancy are inherently unstable and hence difficult to solve. However, using certain stabilization techniques in connection with multi grid algorithms, we were able to obtain efficient and reliable numerical solutions for the problem. They built the basis for an optimized colling channel. In addition to natural cooling, for certain regions across Europe, Peltier elements were necessary. Scheme of the natural ventilation for the road pricing system. Streamlines of the natural cooling mechanism. Critical regions are illustrated with red circles. CFD simulation for Millturn GmbH. 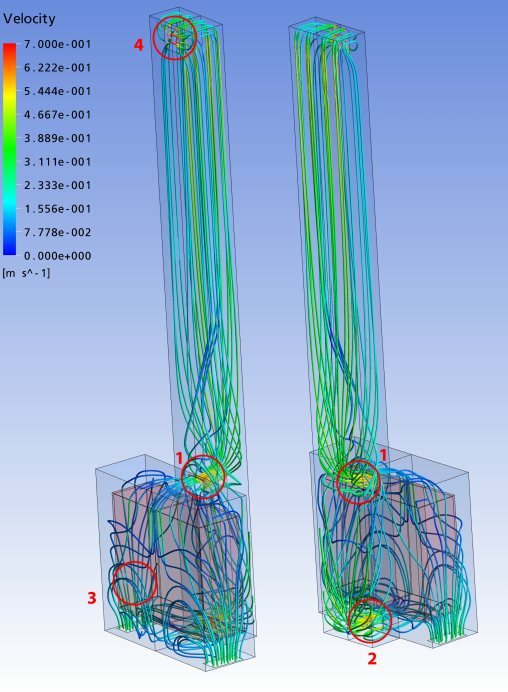 CFD simulation to reduce NOx. High quality NURBS modeling and FEM simulation of a hook. 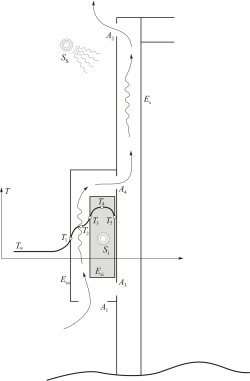 Simulation of complex contact interaction in tunneling components. An extrusion plate frequently fractured and was optimized by FEM. Here's your opportunity to find out if Ninsight can help you to solve your engineering problems. If you have an engineering problem and want a quality solution, complete our online information form. We will forward this request the most appropriate engineer who will contact you to discuss your problem directly.